Since 1999, runners have trusted Injinji’s patented 5-toe design to protect their feet so they can continue to perform at their peak. 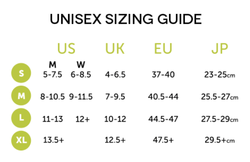 Why wear Injinji socks for running? Injinji running socks are carefully crafted for running novices to ultra-runners who want to prevent blisters! ​Injinji socks are crafted with high-quality, moisture-wicking material keeping your feet cool and dry. A variety of lengths offer protection from dirt and the outdoor elements to keep your legs protected while running and racing. From running on the toughest of snow covered trails, to racing on the hottest of roads, Injinji socks are a must-have to keep running, no matter the distance. Powered by Injinji’s 5 Toe Fit System these socks offer the ultimate in restriction-free, natural movement and total foot protection inside ANY shoe or boot. No more blisters! The mesh top enables maximum breathability while superior arch support and a snug cuff assure the sock won’t slip. Injinji toesocks are crucial for foot protection, comfort, recovery and overall a better performance. Injinji understand that good health starts from the ground up. Performing since 1999, they make premium performance toe socks to give you the best protective layer between foot and shoe. As runners, athletes, and enthusiasts of staying physical and getting outdoors, we assure you that a pair of our toesocks can improve your performance and help put your best foot forward every day. Why Injinji Toesocks? from Injinji on Vimeo. 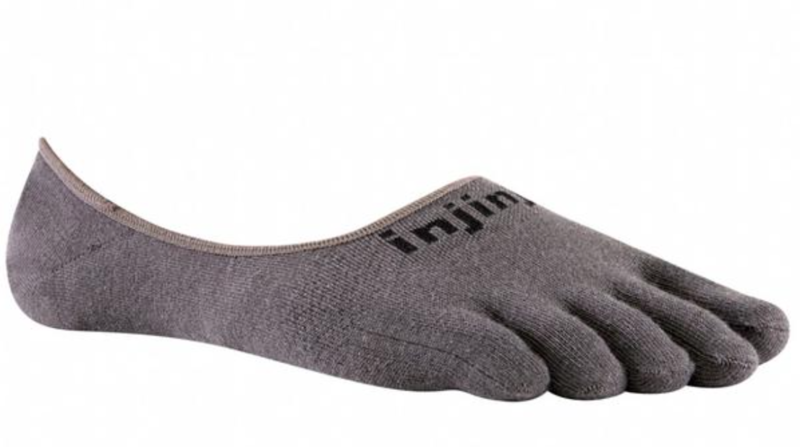 There are many benefits to wearing toe socks that I have discovered during the last 10 years of wearing and running in the Injinji toe socks. Before I came across the understanding of barefoot running and barefoot/minimal type footwear, I was wearing traditional type socks and footwear that, in terms of shape, do not accommodate for the natural/anatomical foot structure. My toes, particualrly the fourth and fifth toes were being pushed so far medially towards the other toes that I was literally stepping on them. Eventually I would end up with bleeding toes as the nails on the toes would cut into the side of the other toes.